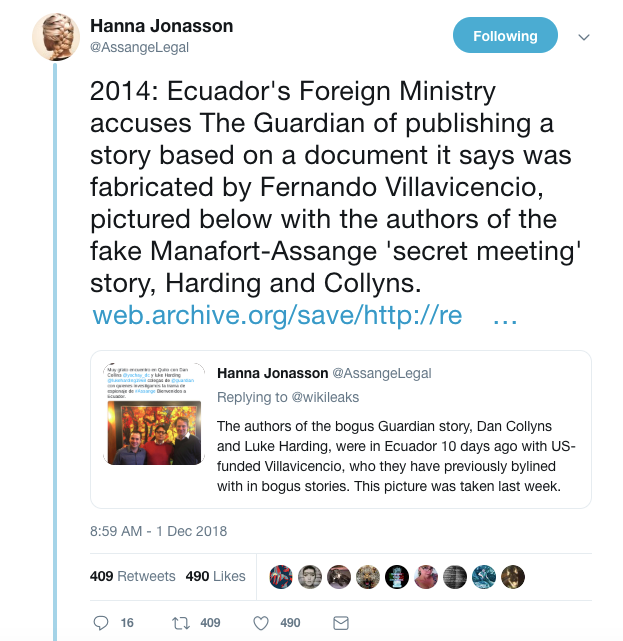 Jonasson included a link to a 2014 official Ecuadorian government statement which reads in part: "There is also evidence that the author of this falsified document is Fernando Villavicencio, a convicted slanderer and opponent of Ecuador’s current government. 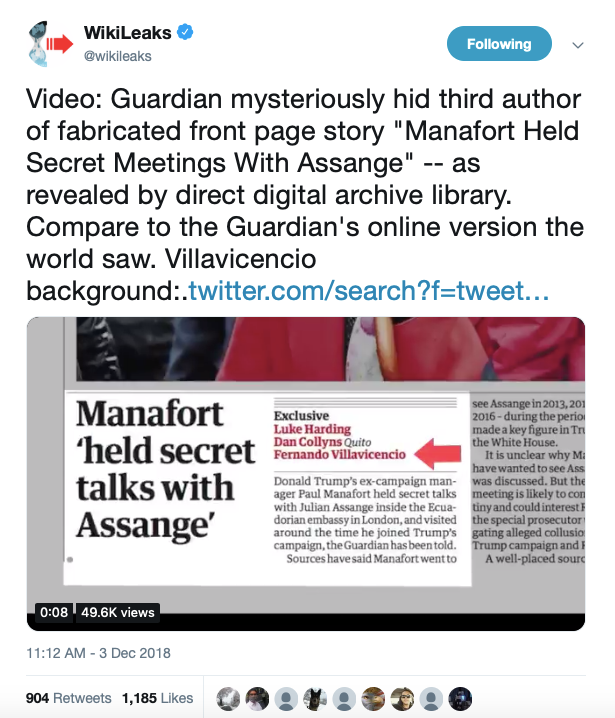 This can be seen from the file properties of the document that the Guardian had originally posted (but which it has since taken down and replaced with a version with this evidence removed)." 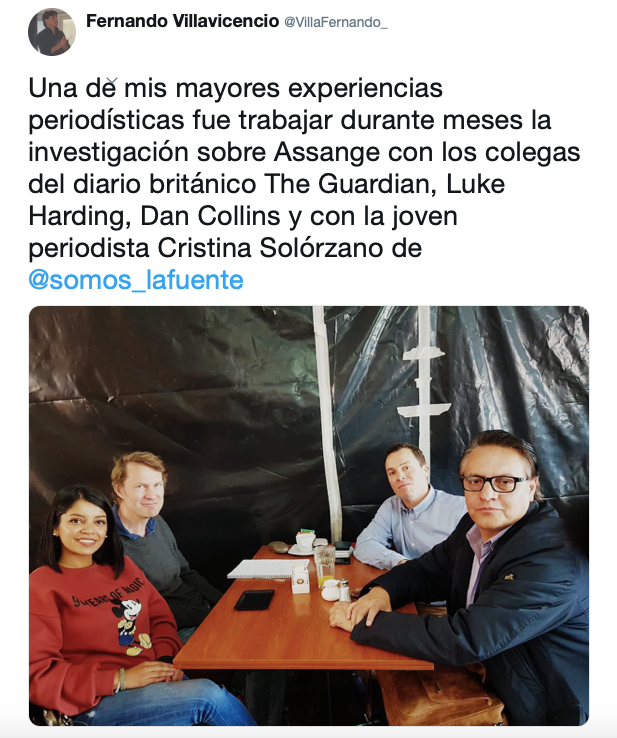 The statement also notes that Villavicencio had fled the country after his conviction for libeling Correa during the 2010 coup and was at that time living as a fugitive in the United States.